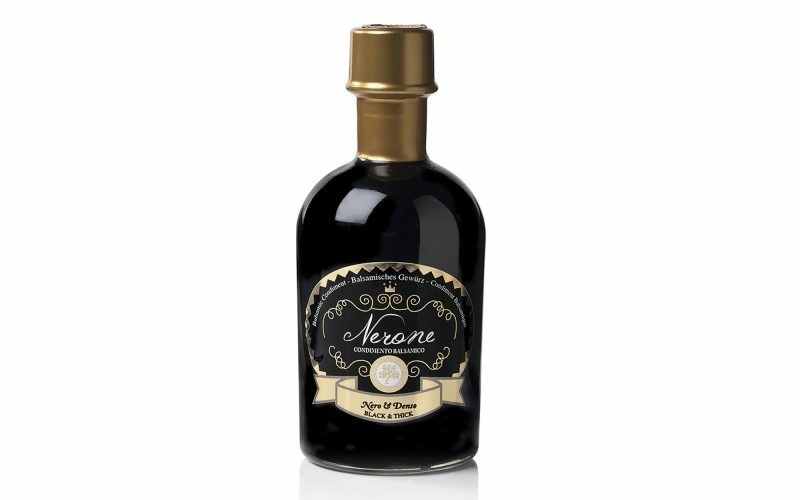 Young balsamic condiment very thick and black, for this reason the sweetness comes out strongly and perfectly pairs with the selected grapes richness. How to taste it in our daily cooking: it is perfect with mature cheese, savoury meat, fruits and desserts. Ingredients: there is a prevalence of Lambrusco “Salamino” grape’s cooked must that gives richness and intense color and our wine vinegar. It is a 100% natural product. There is no addition of preservatives, colorants, thickeners.